Informs by vibration alarm about incoming emails, calls, SMS, etc. The Epson Pulsense PS-100 Fitness Tracker measures your heart rate and your activities 24 hours a day. It counts steps, distance, and calories, watches your sleep quality, and measures your heart rate via 5 zones. On the basis of your settings, Pulsense automatically sets targets and offers an easier access to an efficient fitness program and the way to your desired weight. The Pulsense is a pioneering activity and heart rate tracker. 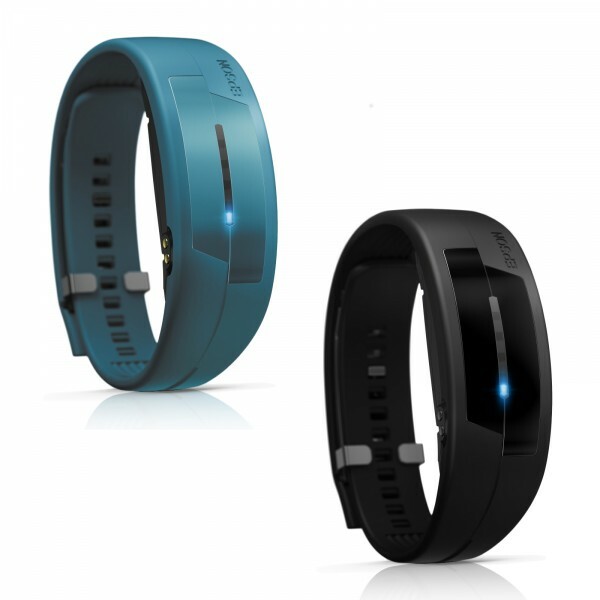 The Epson Pulsense PS-100 Fitness Tracker presents a smart combination of stylish design and valuable functions. It is an innovative product of Epson, providing precise measuring data for heart rate and activities. Pulsense combines a visual sensor with an accelerometer and achieves very precise measuring data with the heart rate sensor technology of Epson. The visual heart rate sensor of Epson is compact and energy-efficient. In addition, it allows the comfortable heart rate measuring without chest strap. Train efficiently and track your activities with the Pulsense PS-100. LED status displays show the current heart rate zones and a vibration alarm makes you aware of incoming calls, emails or calendar dates. Furthermore, you can set the sleep phase alarm clock so that you are waken at the optimal time and start relaxed the day. The Bluetooth Smart connection and free View App support the easy control of calory intake and other data and directly show your measured data on the Smartphone or Tablet. The self-explaining selection symbols make it easy to measure your success per day, week or month. A weekly summary per email helps to keep motivated and to achieve your personal targets. Set and track your targets with high efficiency and motivation - each movement counts. Pulsense and the free App help you to achieve your personal fitness targets. You will definitely find your appropriate model among different sizes and colors. Sehr guter Tracker,bequem zu tragen. Super. Ich bin vollkommen zufrieden.